Edith Schaeffer was born in China to missionary parents. She attended Beaver College in Pennsylvania and married Francis Schaeffer in 1935. After three very active parish ministries in the US they moved their family to Switzerland in 1948 to help churches in their efforts to resist both liberalism in theology and existentialism in the culture after World War 2. 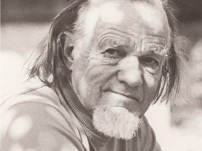 In 1955 Edith and Francis Schaeffer started L'Abri Fellowship, a work among people from all over the world to help them see the truth of Christianity in the context of old and contemporary questions. They opened their home to them and welcomed all who were interested in finding out how the reality of Christianity encompasses truth and beauty in an intelligent way. Honestly comparing various religious, philosophical and cultural alternatives they pointed to the unique truth of Christianity at a time when Christians were either too platonic in their faith to think or to individualistic to be concerned about truth in the wider world. Edith wrote 17 books, which are still widely read, and kept in touch with many through her long letters. At the time of her husband's death in 1984 they had moved to Rochester, MN, from where she continued a busy speaking schedule for a number of years. In 1988 she asked Udo and Deborah Middelmann to start the Francis A Schaeffer Foundation with her. In 2000 Edith moved to live with Debby and Udo in Gryon, Switzerland, and is cared for there by them in her own flat. She still enjoys the times with students who come to participate in the study programs of the Schaeffer Foundation. Udo Middelmann holds degrees in Law from Freiburg University, Germany, and in Theology from Covenant Theological Seminary, St. Louis, MO, USA. He has also worked with Dr Schaeffer as Associate Pastor as well as a long-time Trustee, Member and Lecturer at the Swiss L’Abri. 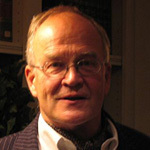 Udo has lectured widely on ethics and society in many countries on all continents and regularly publishes “Footnotes”, which can be found at this site. Previous books Udo has written are “Pro-Existence”, “The Market-Driven Church” and, recently published, “The Innocence of God”. Another book to be released later this summer is “Christianity verses Religions of Resignation”. Udo has also authored numerous articles and chapters to other books and papers. Udo and his wife Deborah divide their time between the US and Switzerland. They have five children and seven grandchildren. 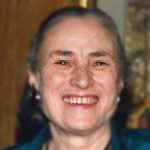 Deborah Middelmann is the third daughter of Francis and Edith Schaeffer. 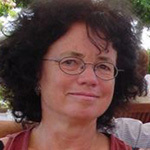 studied at Hollins College, Roanoke, Virginia, USA and graduated from the Université de Lausanne with a Diplôme à l'Aptitude de l'Enseignement du Francais Moderne, Deborah has lectured widely on the subject of education, child psychology, French literature and modern culture. She has also held previous teaching positions at schools in the US as well as Switzerland and is currently the assistant in the Bilingual Preparatory French program at Aiglon College nearby in Chesières. Deborah also leads many of the student discussions at the Schaeffer Foundation summer study program.